Top Scottish crime writer, Stuart MacBride has launched the return of the renowned Jura Writers’ Retreat programme. The Isle of Jura boasts a long literary heritage, including the fact that British novelist George Orwell penned his most famous novel ‘1984’ while staying on the island. Building on this special connection, Writers’ Retreat will run throughout late 2011 and 2012. 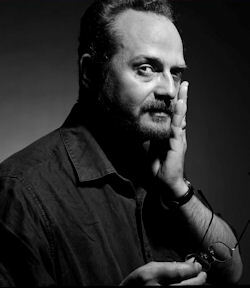 Stuart MacBride – the international bestselling author of the Logan McRae series, whose latest book SHATTER THE BONES went to number one in the Sunday Times list – is the first in a long list of well-known writers to spend a week in the Jura Lodge, where he wrote a short story entitled ‘Stramash’. ‘Stramash’ follows Detective Sergeant Logan McRae to the Isle of Jura. He’s supposed to be having a couple of days off, but his superior DI Steel has other ideas. Something suspicious is happening on Jura, and it’s going to take Grampian Police’s finest to get to the bottom of it. Fans of MacBride’s work will be able to download his short story by going to http://www.isleofjura.com/library/writers-retreat-2011.aspx. Additional information on Writers’ Retreat and news on the programme’s bestselling authors can also be found on the Jura website. Following in the Aberdeen author’s footsteps will be bestselling crime writer, Val McDermid, and Scottish Sci-Fi writer, Ken McLeod. Previous writers in residence for Jura include Alexander McCall Smith, Janice Galloway and Will Self. To mark the creation of ‘Stramash’, MacBride worked with Jura to set up an exclusive digital crime tour of Aberdeen, in line with Logan’s murder investigations. Hotspots included a stop at Robert Gordon University, where Professor Dave Barclay – former Head of Physical Evidence for the UK – lectures in forensic science. MacBride regularly makes use of Professor Barclay’s extensive expertise to get the details in his books right. “I really enjoyed taking everyone on a tour around some of the locations featured in Logan’s murder investigations. And having Professor Dave Barclay on hand to share examples from his years helping to solve real-life crimes made it even better. Not to mention the occasional nip of good malt whisky.” says MacBride. His next book, BIRTHDAYS FOR THE DEAD, is published by HarperCollins in January.